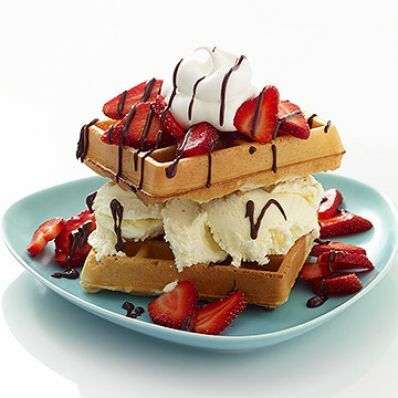 This kid-favorite dessert recipe combines ice cream, strawberries, and waffles into one yummy treat. 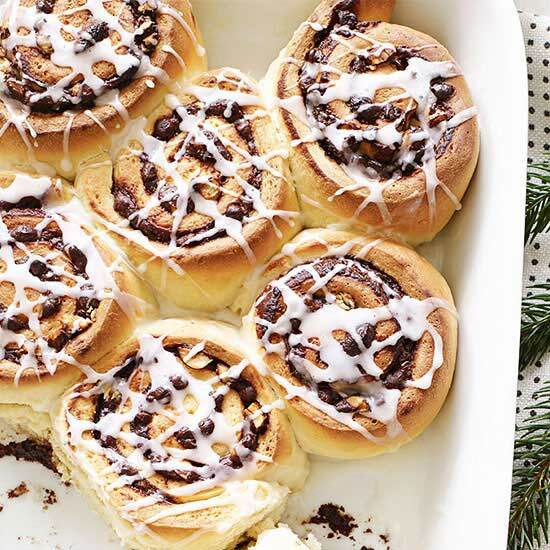 Finish it off with a dollop of whipped topping and drizzle of chocolate syrup. 1 of 3 Heat oven to 200 degrees. In a medium-size bowl, toss together strawberries, orange juice and sugar. Refrigerate. 2 of 3 Heat a waffle maker following manufacturer's directions. (Either a square or a round waffle maker works well here.) In a large bowl, combine biscuit mix, milk, egg, oil, vanilla, and cinnamon. 1 of 1 Place one waffle or waffle section on a plate. Top with 1-1/2 cups ice cream, 1/2 cup of the strawberry mixture and a second waffle. Add a few more strawberries and dollop with one tablespoon whipped topping. Drizzle with chocolate sauce and serve.